In just a few short weeks, our homes will be filled with loved ones–friends and family– to take a day to be thankful. We will gather around a table overflowing with more food than we can even imagine eating. 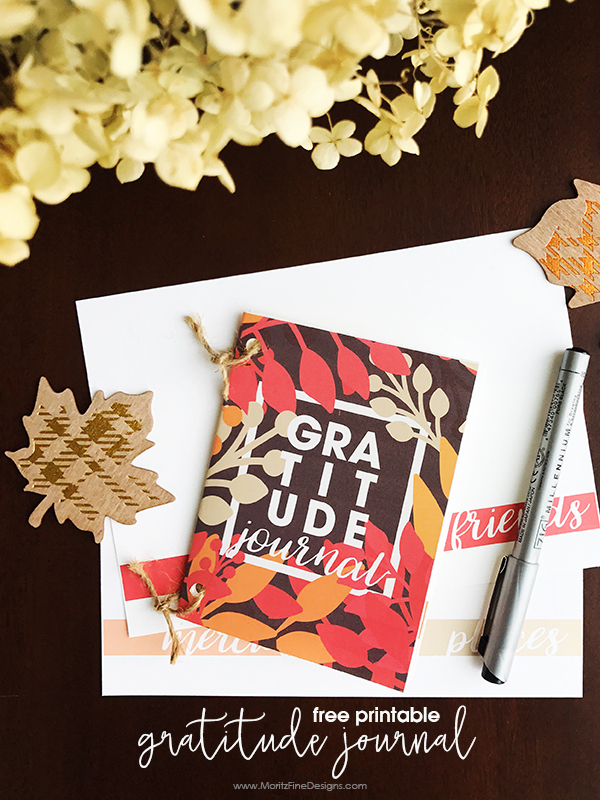 It’s a great opportunity to share our gratitude with this simple DIY Gratitude Journal. You can simple print one out for each person at your gathering and place them at each place setting or, you can print out one DIY Gratitude Journal and pass it around the table. It’s so fun years down the road to peek back at what each one was thankful for…especially those little ones at your gathering! These simple family traditions are so important to each family member and will be carried on year after year. Download the DIY Gratitude Journal from the link below. Be sure to print back-to back (2-sided). Depending on how your printer works, you may have to print one side and then feed the paper through the printer to print the second side. I keep this card stock on-hand for all my printables. Cut the journal along the cut lines. Fold the journal pages in half and either staple the edges or hole punch the edges and add twine to hold the journal together. 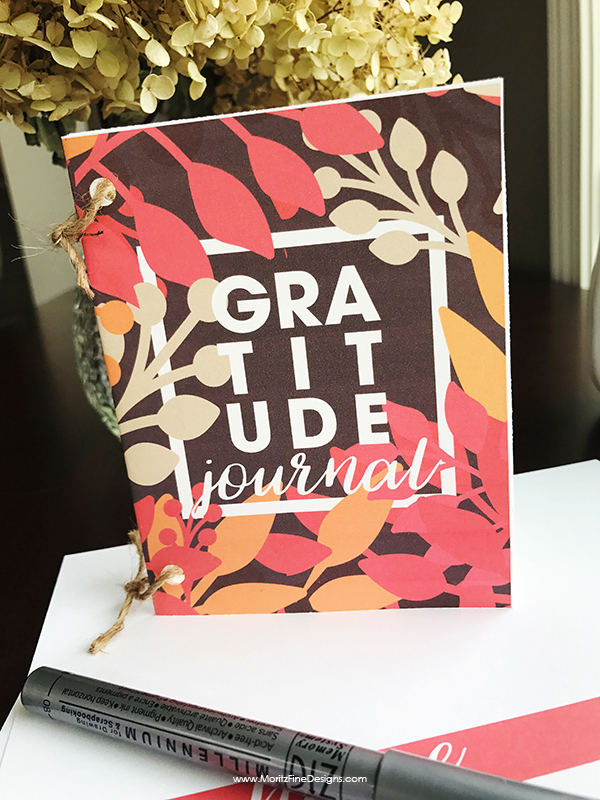 Love the idea of the gratitude journal but want something a little more simple? You’ll love these easy gratitude cards.